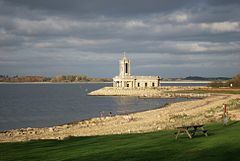 Rutland WaterFish week 2,428(Season 27,218) Returns 561 (6,137) Rod average 4.32 (4.43)Rutland Water is in excellent form, despite the hot conditions, with a rod average of 4.32. 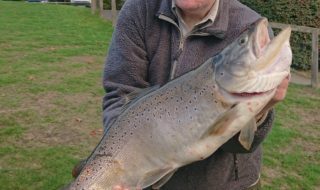 A number of big specimen fish were caught last week with the boat anglers taking the majority of fish and these came from as far apart as the main basin and the bottom of both arms. Methods varied from dries to tube flies. Graham Haywood of Empingham brought the biggest Brown of the week back to the lodge with yet another impressive fish weighing 5lb 6oz. Graham fished with good friend Toff Crowther last Wednesday. The conditions were far from ideal – it was a very warm cloudless day with an easterly wind, despite this fish were showing in various parts of the reservoir. Mark Howard from Berwick upon Tweed also fished last Wednesday. Mark has fished in competitions at Rutland Water many times over the years, but this visit was purely for pleasure. Mark headed down to the bottom of the South Arm, fishing in Manton Bay. He had four quality rainbows, all returned, with two estimated over 5lb, Mark described it as brilliant fishing. Season ticket holder Keith Jones went on the hunt around the South Arm, taking his boat to various places and had a great day’s sport, with premium quality Browns and Rainbows falling to his rod. Jim Watts and Martin Hearth recorded 14 fish from the main basin last Thursday, taking in several drifts on the rudder catching Rainbows up to 3lb using sinking lines and tube flies. The main basin provided a good number of fish on an easterly wind with boats catching close in along the Sykes Lane area and the Normanton shoreline. Those bank anglers who got out enjoyed some excellent sport in the heat wave conditions. Dave Bradshaw and a few others caught numbers of fish around the Sailing Club area, with Dave using a shrimp pattern to good effect. Nigel Savage managed a couple of mid day sessions and some nice fish with Browns to 4lb and Rainbows to 3½lb, finding fish moving close in around the weed beds, fishing small fry patterns. 4,000 more Rainbows were stocked last week, with Church Bay, Sailing Club, Half Moon Spinney, and the Green Bank receiving attention, bringing the season’s total to 64,200.Bank anglers will find fish showing around the shoreline despite the weather conditions.While boats are visiting the bottom of both arms, and main basin, there are of course many areas of water and weed beds that have not been explored yet, so prospects are very good with fish feeding on snail, sticklebacks, fry and corixa. There are one or two daddy long legs making an appearance which will appeal to the dry fly angler. Boat availability is limited during the coming weekends – please book well in advance. Best Brown 5lb 6oz taken by G Haywood of Oakham. Best boat areas The main basin and around the many weed beds around the shoreline; bottom of either arm. Best bank areas Normanton, Sykes Lane, Peninsula and New Zealand Point. Best methods Bank – Dries, nymphs and fry patterns. Boat – As for bank and include mini and large lures/tube flies on various sinking lines. Mid week boat winner Brian Bonner of Oakham. Grafham WaterFish Season 735 (Season 18,326) Returns 129 (3,207) Rod average 5.7 (5.71)A fantastic week’s fishing at Grafham Water with some huge bags of fish and many other great hauls. With a rod average of 5.7 there is every chance using the right methods in the right place could see an angler catching way above this. Boat fishing has given lots of anglers some great sport with reports of up to 30 plus fish in a single day. Boat anglers are getting good results fishing floating lines with fast glass tip, with diawl bachs and crunchers strung between boobies on the point and hares ears on the dropper. Other methods suggest shrimp and snail patterns are working well, along with using a humungus over the boils. Best boat areas seem to be Savages Creek, between the two boils (drifting), the middle (drifting), the Dam, and Sanctuary Bay. However, it is worth noting that fish are being produced almost everywhere, particularly in the surface layers of water. It has been another great week of bank fishing with plenty of fish landed. Predominantly the best area is still the Dam, though wading off Plummers and around Sludge Point is also producing. For anglers preferring more solitude then try Sanctuary Bay. Take waders to get closer to the fish as plenty have begun to move around that area. The Harbour arms are still good for a fish or two in the morning and evening whilst the temperature is cooler. For those who are bank fishing ensure you are taking fry patterns, snail and shrimp patterns in the box as these are the going methods. Please bear in mind, particularly during the hot weather, fish may struggle to go back straight away when released. 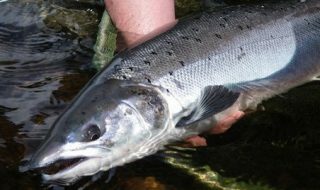 Please take your time when releasing to ensure fish are safely returned to the water alive. World Predator Classic QualifierOn Sunday the 21 August Grafham Water hosted a qualifier for the World Predator Classic. Each team could aim for Zander, Perch and Pike and the lengths were tallied up to give the overall total length. There were two methods of getting to the fish that day, kayaks and our fishing boats, so the results are split respectively. After a wet and windy Saturday, whereby practice was limited due to the weather, the excitement was left all for Sunday. After a nice evening on the bank (bar the confusion over a flashing light) they were ready to get out there! It was a very successful weekend and the results can be viewed on Grafham Water’s Facebook page or email sredrup@anglianwater.co.uk to request a copy. Well done to all that took part in less than favourable conditions. With Grafham’s predator season starting on 1 September it’s certainly whetted some appetites. John Watts competitionPlenty of fish were caught with an overall average of 4.8 including released fish. This week we also hosted the GWFFA/St Ives Sea Scouts – Fly Fishing Day. What a lovely day they had despite the weather trying to put a dampener on things. The programme included learning to cast and set up of the tackle plus fly tying. From there they were introduced to boat handling and boat safety before being allowed out to fish the water in pairs with a handler. They caught some fish too! So well done to the scouts and also well done the gillies. This is a great way of passing on the sport of fishing to those who may not have the opportunity to do so otherwise. We will be hosting another event in the next few weeks for more scouts to give fly fishing a try so good luck to them and watch this space for more information. Best Rainbow 5-6lb taken by Mr Smith. Best boat areas West Bank, Sludge Point, Gaynes Cove, the Dam, B Buoy to G Buoy (drifting) and the Seat, Savages Creek. Best bank areas The Seat and north and south Dam, Plummers. Mid week boat winner P Jinks of Peterborough. Pitsford WaterFish week 155 (Season 12,800) Returns 66 (2,233) Rod average 2.3(5.7)Anglers are still finding some lovely well conditioned Rainbows at Pitsford Water, despite some challenging weather conditions. Terry Bayes and Ashley Cooper had a great day’s sport on Wednesday, drifting across the main basin with crunchers and tequila boobies on floating lines. The bright conditions didn’t put the fish down and the pair picked up some silver, square tailed Rainbows, including one of 4lb for Terry. Phil Jordan was on form once again on Sunday bringing 14 fish to the boat on black diawl bach and hopper patterns whilst fishing the drift across the top of the Narrows. The Dam, main basin and top of the Narrows are holding the majority of the fish and washing line tactics seem to be paying off with the fish feeding in the top three feet of water. Bank fishing continues to be at its best in the early morning with shrimp feeding fish in close around stony areas of the reservoir. Hares ear patterns in sizes 12 and 14 are worth trying for these fish.Due to stock taking please note that items of tackle etc will not be available to purchase from 11 am on 5 and 6 September. The Lodge will remain open for boat hire and permit sales. Best Rainbow 4lb taken by Terry Bayes. Best boat areas Main basin, top end of the Narrows. Best bank areas Gravels, Cliffs. Mid week boat winner Martin Rile. Ravensthorpe ReservoirFish week 64 (Season 10,058) Returns 28 (1,452) Rod average 2.2 (6.9)The fish seem happy and are taking dries well. Nigel Woolnough had 6 Rainbows on cdc, Fraser Duffy has had a couple of days dry fly fishing and has had 15 fish to the boat. Mark Draper fished a blue flash damsel on a floating line and had 18 fish, (he could not catch on dries).Fishing is still good on dries. Mr Berry and his boat partner had 6 fish on Bob’s Bits. The recent hot, sunny weather has started an algal bloom so the reservoir has an appealing green glow. However, following the torrential rain and thunderstorms experienced last weekend the colour should drop out. More fish will be stocked next week which will liven up sport.GWFFA Dry Fly Day and BBQ at Ravensthorpe on Sunday 21st August 2016. 16 members of GWFFA had a day on the lake where only dry flies were used. The often bright and very windy conditions proved challenging from drifting boats. Most fish were caught in the calmer water near The Clump, The Domes and The Tall Willows. All the fish caught were released. Top angler on the day showing great skill with the dry fly was Brian Calvert using a size 16 green CDC. Other anglers caught on orange and fiery brown Bobs bits. 1st Brian Calvert 10 fish2nd Martin Brocklebank 7 fish3rd Harley Smith 6 fishBest bank Dam. Best methods Dries fished across the main basin. Mid week boat winner Robert Midmer of Northampton.